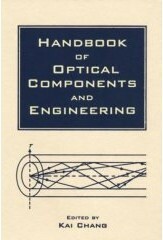 Handbook serves as a compendium of principles and design data for practicing optical engineers. Covers all important components in optical technology. Provides a wealth of essential principles, methods, design information and references for today's complex and rapidly changing field of optical engineering.The handbook editor is a well-known researcher, author, journal and book editor. Contributors are all leading researchers and practitioners. The most comprehensive treatment to appear in book form. This outstanding new resource features information of both a fundamental and technological nature concerning molecular lasers, along with a list of tables detailing spectral identification over 2,000 emission lines. Handbook of Molecular Lasers provides an extensive treatment of the kinetics of CO2 lasers...reviews RF exited Co2 waveguide lasers, including the waveguide resonator thery and RF circuits and techniques... and details theory and techniques for the generation and ampllification of very short CO2 laser pulses with a width shorter than 10nsec. 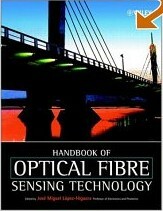 It gives detailed descriptions of a variety of chemical lasers, including data on their components and their performance characteristics and much more..
Handbook of Optical Fibers and Cables, second Edition covers the history of optical communications, discusses optical fiber materials, reliability and manufacture, illustrates the design, construction and properties of the latest cables used for optical fiber. It describes fiber splicing and presents new, automated fiber splicing machnes, examines cable connectors, shows how to use insturmental techniques to measure optical fiber systems..and more. he numerous formulas, sketches, diagrams, tables and technical exposition will be a handy guide for network system, optical and electooptical engineers, and those involved in the design, production and installation of fiber optic cables. With 300 figures, tables, and equations, this book presents a unified approach to image quality research and modeling. The author discusses the results of different, calibrated psychometric experiments can be rigorously integrated to construct predictive software using Monte Carlo simulations and provides numerous examples of viable field applications for product design and verification of modeling predictions. He covers perceptual measurements for the assessment of individual quality attributes and overall quality, explores variation in scene susceptibility, observer sensitivity, and preference, and includes methods of analysis for testing and refining metrics based on psychometric data. Infused with more than 500 tables and figures, this reference clearly illustrates the intricacies of optical system design and evaluation and considers key aspects of component selection, optimization, and integration for the development of effective optical apparatus. The book provides a much-needed update on the vanguard in the field with vivid explanations of computer-aided strategies and developments essential for success in the engineering of modern optical structures. It analyzes the performance of a wide range of optical materials, components, and systems, from simple magnifiers to complex lenses used in photography, ophthalmology, telescopes, microscopes, and projection systems. Handbook of Solid State Lasers discusses theories and techniques of III - V semi conductor diode lasers....describes various types of high power GaAlAs/GaAs, and GaInAsP/InP CW semiconductor lasers...presents a group of semiconductor lasers emitting in the middle and far-infrared.....considers the Alexandrite laser....investigates color center lasers.....and contains a detailed treatment of slab geometry lasers. It is invaluable reading for optical, laser, electro-optical, electrical, electronics, communications, industrial, manufacturing and systems engineers, solid state laser specialist, spectroscopists and for graduate level students. This Handbook contains cutting-edge information on optical engineering theory, design, and practice, including new chapters on ray tracing, optical system design, and third-order aberration theory. The latest information on optical engineering theory, design, and practice. Contains Over 150 detailed illustrations. New coverage of ray tracing, optical system design, and third-order aberration theory; new lens designs; new optical design software; and new problems and exercises. This state-of-the-art guide provides unsurpassed coverage of image formation, basic optical devices, image evaluation, fabrication and testing methods, and more. This set of five volumes...is a unique resource for any science and technology library. It provides materials researchers and optical device designers with reference facts in a context not available anywhere else....The community of materials researchers, spectroscopists, and optical device designers has reason to welcome the five-volume reference tool....These five books will be an invaluable addition to any researcher's library. This book will be a valuable text book to electrical engineering and physics undergraduates taking courses in optical engineering, photonics, and electro-optics. The authors present basic optical principles, particularly reflection, refraction, aberrations, diffraction and interference. Building on this foundation, they then discuss a wide variety of optical devices and processes, including simple optical instruments, photodetectors, spatial light modulators, holography and lasers. They devote two chapters to linear system transforms and signal processing, and the book concludes with a chapter on fiber optics. The book contains many worked examples and over 250 problems. This book is the most comprehensive compilation of data on the optical properties of diamond ever written. The handbook presents for the first time in English a multitude of data on the optics of diamond which were previously published only in Russian and which were never known to western researchers. The author presents his own views alongside the opinions of other researchers, even in cases where these are contradictory. The main benefit derived from this handbook is a quick access to the most comprehensive information on all aspects of the optical properties of diamond. The book presents in a systematical manner the experimental and theoretical data on optical properties of diamond accompanied by short explanations and models. Handbook of Laser Wavelengths includes: Crystalline paramagnetic ion lasers, glass lasers, color center lasers, semiconductor lasers, polymer lasers, liquid and solid-state dye lasers, rare earth liquid lasers, neutral atom, ion, and molecular gas lasers, extreme ultraviolet and soft X-ray lasers, free electron lasers, nuclear-pumped lasers, lasers in nature, lasers without inversion Brief descriptions of each type of laser are presented, followed by tables listing the laser wavelength, lasing element or medium, host, transition, and primary literature citations. A special section on commercial lasers is an added featured. This book is a comprehensive contributed volume that aims to describe and explain the design, fabrication, operating characteristics, and specific applications of the most popular and useful types of specialty optical fibers. These specialty fibers include any kind of optical fiber that has been architecturally manipulated to diverge from a conventional structure. For instance, metal-coated fibers can be utilized for bandwidth improvement, and hollow core fibers offer more controllable dispersion for sensitive medical procedures. Applications for these specialty fibers abound in the biomedical, sensors, and industrial fields, as well as in more traditional communications capacities. The book summarizes and reviews the mathematical background of the quantum theory embodied in the Hilbert space. It includes a brief review of the formalism for discrete sets of particles and continuous media. It covers the quantum theory necessary for the study of optical fields, transitions, and semiconductor gain. This volume supplements the description of lasers and LEDs by examining the fundamental nature of the light that these devices produce. It includes an analysis of quantized electromagnetic fields and illustrates inherent quantum noise in terms of Poisson and sub-Poisson statistics. It explains matter-light interaction in terms of time-dependent perturbation theory and Fermi's golden rule, and concludes with a detailed discussion of semiconductor emitters and detectors. Optical Networking Best Practices Handbook presents optical networking in a very comprehensive way for nonengineers needing to understand the fundamentals of fiber, high-capacity, high-speed equipment and networks, and upcoming carrier services. The book provides a practical understanding of fiber optics as a physical medium, sorting out single-mode versus multi-mode and the crucial concept of Dense Wave-Division Multiplexing. It is a useful supplement to an advanced undergraduate or graduate curriculum, a helpful reference work for networking engineering professionals. The handbook of Nonlinear optics, Second Edition presents important mathematical formulas and materials data in convenient table formats....promotes clear understanding of nonlinear optics with abundant illustrations and discussions of the meaning of mathematical formulas...provides formulas in both SI and cs physical units with conversion between units....discusses light source generation in second order non linear optics..and offers extensive coverage of device applications. It provides an excellent survey of nonlinear optical materials and macroscopic phenomena.... "an outstanding reference book....It is practical and quite readable. This comprehensive handbook, written by a wide spectrum of leading international researchers, offers a clear understanding of the theory as well as focusing on the many practical applications throughout the industry. 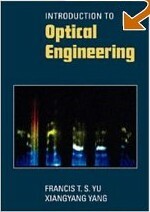 The book is organised into four main sections: Preliminary, Fundamentals of Photonics and Components for Sensing, Principles and Techniques for Sensing and Applications. This handbook would prove to be a valuable reference resource for researchers, engineers and postgraduate students in fibre optical sensing, as well as practising engineers in optical communications and electronic engineering, civil engineering, aerospace industry, biomedicine and robotics.